Several of the most seasoned professionals and champions in golf are set to sail aboard Crystal Cruises’ popular 2019 Golf-themed Experiences of Discovery voyages. 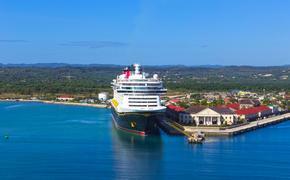 In fact, the line was recently awarded “Best Golf Cruises, Medium Ships” in the 2019 Golf Digest Editors’ Choices Awards. The pros bring their PGA prowess and insider perspectives to three specially-themed cruises aboard the award-winning Crystal Symphony and Crystal Serenity, which feature opportunities for golf enthusiasts to not only perfect their swing and improve their game but also to enjoy tales and triumphs from those who have reveled in the victory of the sport’s most prestigious championships. 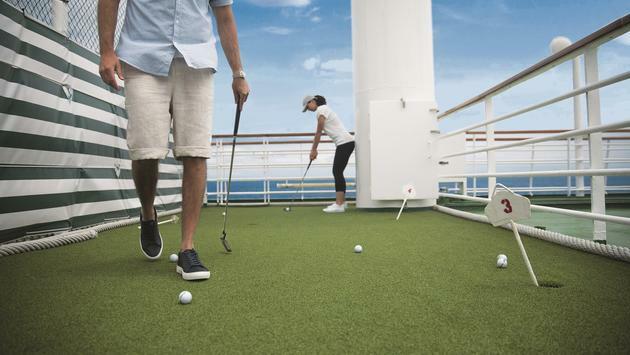 “Crystal Cruises’ golf cruises are wonderful opportunities for avid players and novices alike since they offer opportunities to play at fantastic courses around the world, as well as great instruction for those just beginning their game,” said Crystal’s vice president of entertainment, Keith Cox. Dave Stockton (Crystal Serenity, June 10, London to Reykjavik)—Famous for his short game since joining the PGA Tour in 1964, Stockton transitioned from his two PGA championship wins, two Senior Player Championships and U.S. Senior Open win to an equally illustrious career as a short-game guru. He has helped lead notable players like Phil Mickelson and Rory McIlroy to their own victories and is a best-selling instructional author. Tom Kite (Crystal Serenity, August 12, Lisbon to Monte Carlo)—A World of Golf Hall of Fame inductee consistently ranked in the top 10 of the Official World Golf Rankings from 1989 to 1994, Kite has won the U.S. Open at Pebble Beach, competed on seven Ryder Cup squads and was named PGA Player of the Year. He has since added course design to his resume, applying his expert eye and experience to the development of several courses across the United States. Don Pooley (Crystal Symphony, December 21, Round-trip San Diego)—Famous for dramatic wins on the Champions and PGA tours, Pooley is probably best known for a million-dollar hole in one shot at the 1987 Bay Hill Classic, which benefitted the Arnold Palmer Hospital for Children and Women. He has continued to claim victory on the Champions Tour, winning the U.S. Senior Open and Allianz Championship, as well as the prestigious Vardon Trophy. Crystal Cruises’ ships are outfitted with driving cages and putting greens for guests to practice and perfect their techniques at sea. Ashore, the 2019 golf cruises include play at renowned global courses, like Scotland’s Gleneagles King’s Course, Dublin’s Kildare Hotel & Country Club and the Monte Carlo Golf Club. On its golf cruises, Crystal Cruises sees to all the details for players, including optional shipping service, guaranteed tee times and post-round cleaning and storage of clubs after each excursion.